Yes, it’s terribly simple. The good guys are always stalwart and true, the bad guys are easily distinguished by their pointy horns or black hats, and we always defeat them and save the day. No one ever dies, and everybody lives happily ever after. My goal during CampNaNoWriMo is to write 1500 words a day. This week I only managed to write an average of 1000 words a day. I watched this movie for research (it’s about the Jack The Ripper murders in Whitechapel). It turned out to be a decent movie! 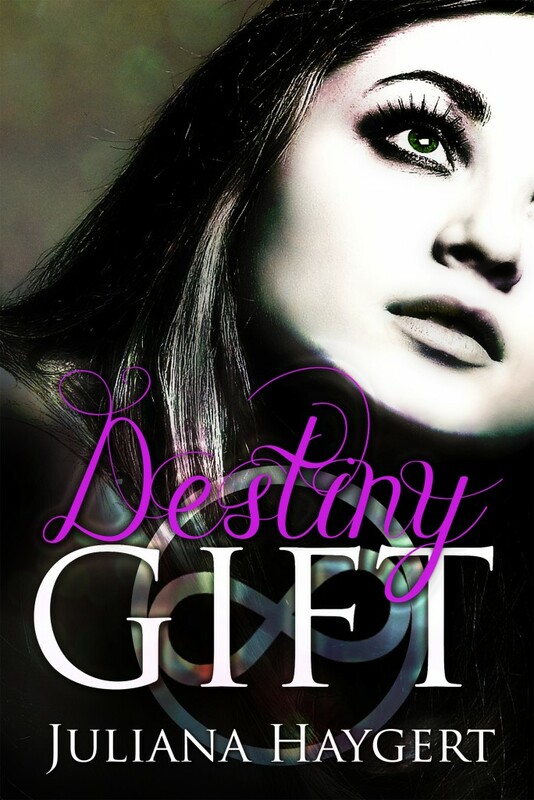 This week my friend Juliana Haygert published her NA Paranormal Romance DESTINY GIFT! Find out more about it here. This week on my blog I wrote a recap of the SCBWI Europlitan Conference. On There And Draft Again, I discussed Gender Bias in Fantasy novels. On her blog, Carissa Taylor talked about rejection in a fantastic post quoting best-selling YA authors. The amazing Summer Heacock also wrote a blog post entitled When You Wish Upon A Book… and you should read it! How was your week? Make sure to share your writing progress and what inspired you this week in the comment section below! This entry was posted in A Round of Words in 80 Days and tagged A Round of Words in 80 Days, Buffy, Camp NaNoWriMo, Destiny Gift, EM Castellan, From Hell, ROW80, writing. Yay at Juliana’s book! I love seeing when fellow ROW80-ers books come out. It gives me the warm fuzzies! 😀 As for you, well, you’ve had quite a busy week! You may not have met your goal of 1500 every day but still, averaging 1K a day is awesome. And writing every day, well there isn’t anything that’s better than that, is there?! Love that quote from Buffy. It makes me want to go watch the eps again on Netflix. I could get lost in a Buffy marathon! Have a great week and have fun at the book fair. Hope to see you in some sprints! Good going on managing to write every day, and even if 1000 words wasn’t quite your target it’s still pretty impressive! I didn’t do too badly on reaching my goals this week – it helps to see some sunshine and feel as if spring is finally here (down in Bristol at least!) Have a productive week and enjoy London Book Fair. I really like the movie from hell, I’m surprised you hadn’t seen it before due to the fact it takes place right around where lily lives. I read the book of it first and used to have dreams of Bilbo killing me (because I don’t know the actors name). Great job of writing every week!! I’m counting down the days until lily I’d done! Aw, thanks for the shout out! Have fun at the London Book Fair!! Great week! Writing every day is wonderful and yes you didn’t quite hit your goal but you write SO MUCH! I too like the quote of the week, I really must start writing down quotes I like! Have a great week and enjoy the book fair! Does this mean the castle is near London…..?! 1000 words a day, wow. Go, Em 😀 I’m looking forward to reading about the book fair. Have a great week. Yay for a great and productive week!! 1k a day is still awesome. I use Nano & CampNano to push myself past what I think I can do, so I think if you’re writing more this week than usual, that’s still a success! Have a great time at the London Book Fair – can’t wait to hear all about it! I was doing editing this week, so I didn’t get as much writing as I wanted to completed. Hopefully next week. Even though 1,000 words wasn’t your goal, getting at least that done EVERY day is a major accomplishment! Buffy quote FTW! I love that episode.